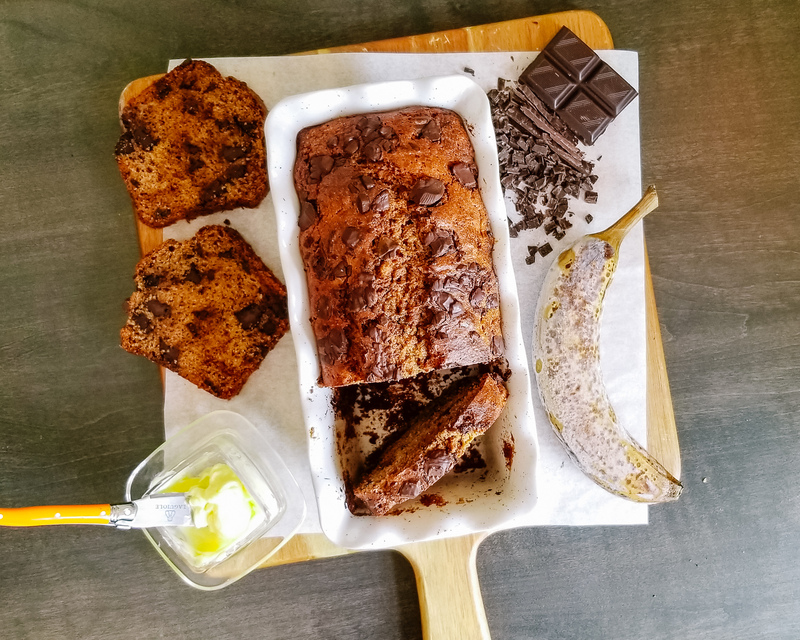 I promise you, you want to make this banana bread. 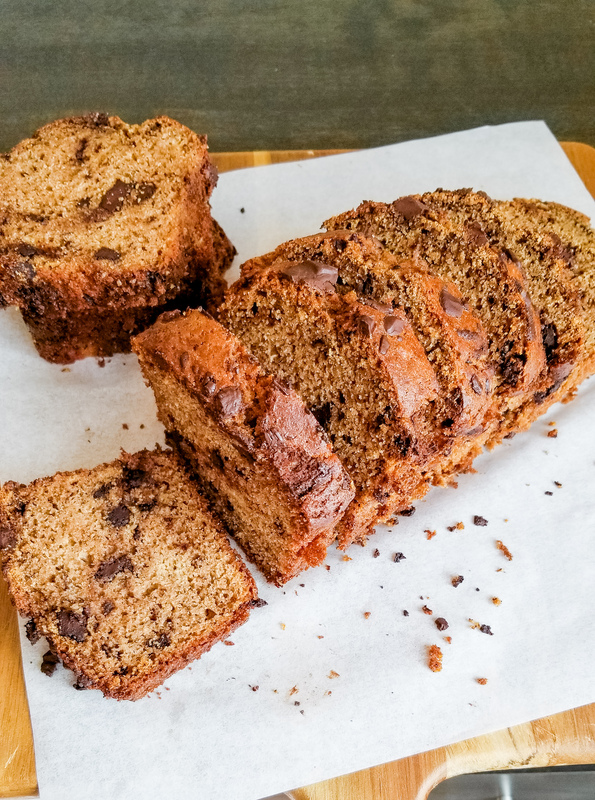 Now maybe you’re like me and are thinking “but Shannon, I don’t like bananas.” Me neither, but this banana bread… it has made me fall in love with a fruit that I used to hate, and now I’m happy when they turn brown. The recipe calls for simple, healthy ingredients that are meant to nourish your body and soul. You can eat this as a snack when you’re on-the-go or save it for a post-dinner treat. Whenever you choose to eat it, I hope you enjoy every bite. In a large bowl, mix butter and maple syrup. Then beat in eggs. Add bananas and milk, mix until well combine and banana is in smaller pieces. Slowly add flour and mix just until combined with other ingredients. Then fold in the chocolate pieces. Lightly grease a loaf pan with butter, coconut oil, or olive oil. Transfer batter to the greased loaf pan and use a spatula to even out the surface. Optional: Top with extra cinnamon or chocolate. Bake at 325 F for 45 minutes. Increase the oven temperature to 350 F and bake for an additional 20 – 25 minutes, or until a toothpick can be inserted into the loaf and comes out clean. Let cool to room temperature before transferring to a wire rack. Store in the refrigerator for up to 1 week or freezer for up to 1 month.